What Are the Treatments for Reddish Brown Spots After Waxing? For certain people, especially those with sensitive skin, waxing can cause skin irritation lasting from a few hours to a few days. This causes reddish brown spots on the skin's surface where the hair was pulled from the follicle. Individuals prone to irritation should prepare the skin before waxing by applying a warm, damp towel to the area to be waxed in order to open the hair follicles and make hair removal easier. You can also treat the area after waxing in order to reduce redness and irritation. Just as aspirin relieves pain and swelling inside the body, it can do the same thing when applied topically. 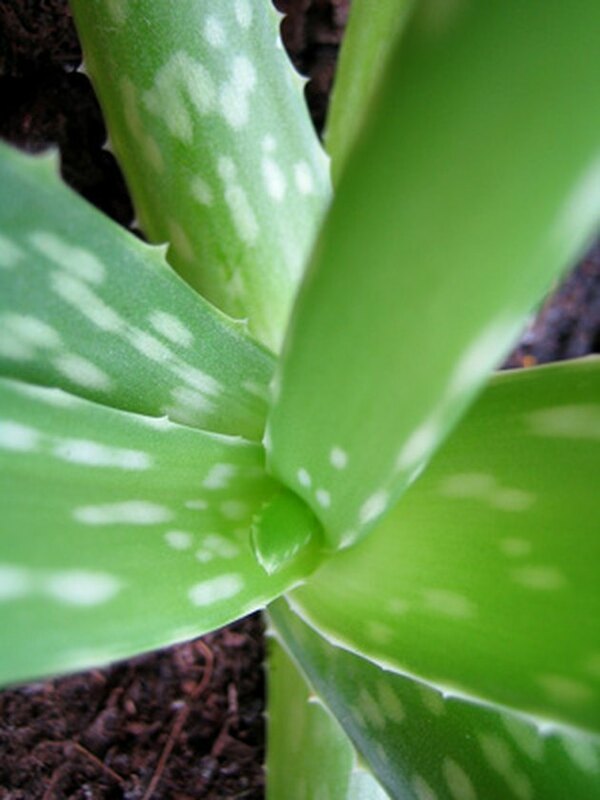 Dissolve two tablets of aspirin in enough warm water to make a thick paste and spread it over areas of irritation. Tea tree oil is a natural antiseptic, analgesic and anti-inflammatory agent that promotes skin healing. Apply a few drops of oil to a cotton ball and smooth it over the area of irritation after waxing. Hydrocortisone is usually used on rashes to reduce irritation, itchiness, and redness. It can be used in the same way for post-waxing redness and irritation. Apply a thin layer to the reddish-brown spots after waxing. Benzoyl peroxide, normally used to clear up acne, minimizes redness and swelling and can be effective for treating post-waxing irritation on a long-term basis. Apply a thin layer to the area before and after you wax. Irritation should lessen over time. Pure aloe vera gel is most commonly used to reduce redness and pain associated with sunburn, but it makes an effective post-waxing treatment as well. Use it in the same way you would for a sunburn, by applying a thin layer over the irritated area. Repeat as long as needed.